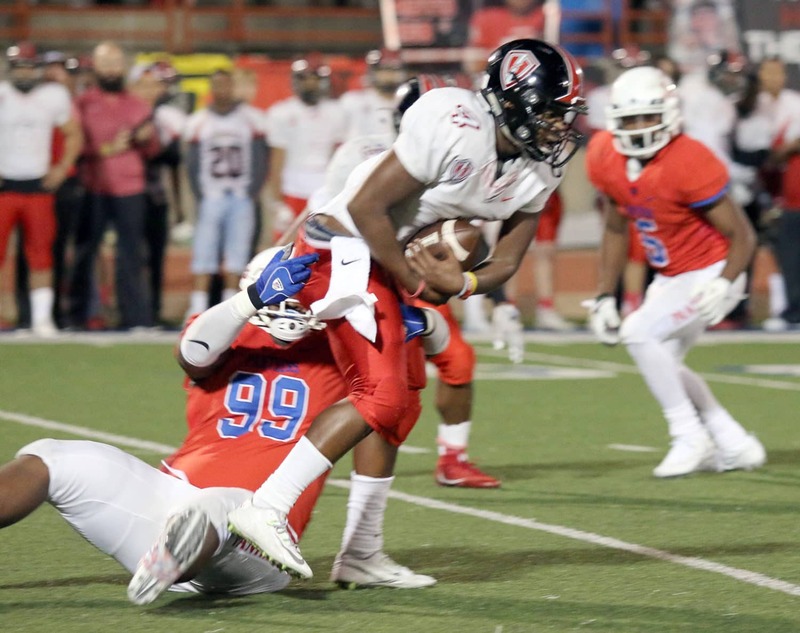 Duncanville (10-2) used the run and pass to completely overpower Killeen Harker Heights (6-5) in a Class 6A Division 1 Region 1 bi-district playoff at Panthers’ Stadium Friday night. Harker Heights, known for its strong running game and for racking up points on the scoreboard, were relegated to only 152-yards rushing on 43 carries, and a single TD. They scored their only TD with 11:10 left in the half. Even with 114 yards rushing, which was low for the team, Harker Heights could not overcome the tenacious swarming defense of the Panthers. Duncanville scored their first TD with 1:11 left in the first quarter on a 7-yard pass from Trezan Connley to Isaiah Upshaw. Josh Delgado was good for the PAT. Upshaw would go 5-45 for his passing game. Duncanville Quarterback Trezan Connley played a stellar game for the Panthers. He had 12-18-0-136 passing, while rushing 7 times for 25 yards. The Duncanville Panthers scored a second time on a 38 yard pass from Connley to Odell Smith with 7:19 left on the half time clock. The Delgado PAT was good. Duncanville led 14-7 at midway. 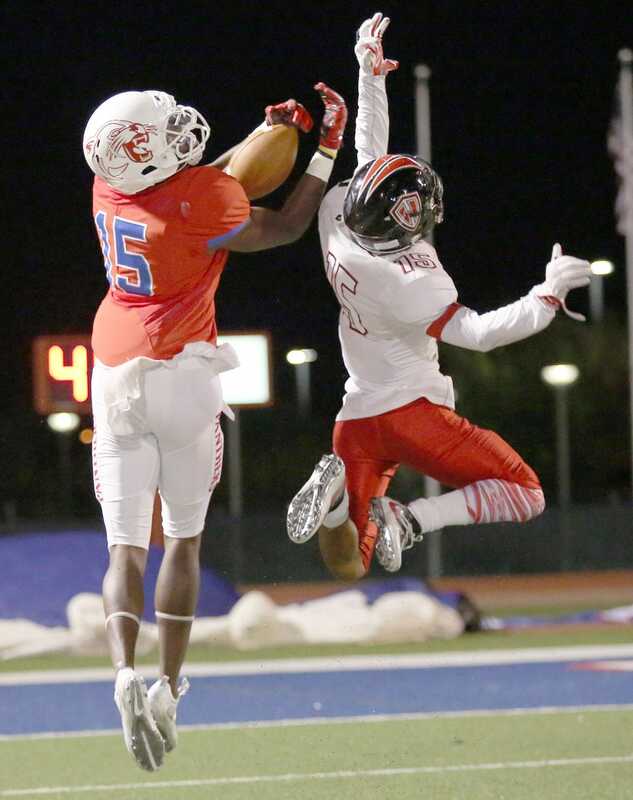 The Smith reception was a circus take-away catch that took the wind out of the Knights from Harker Heights. 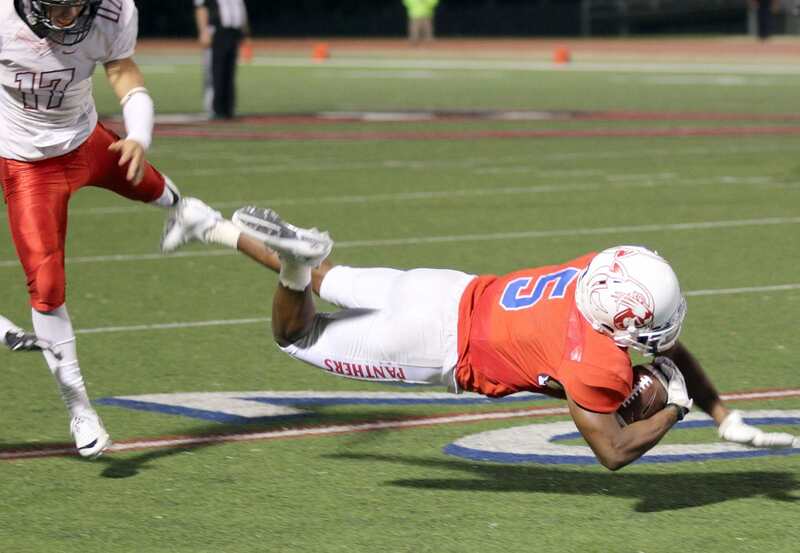 In the fourth quarter, Duncanville scored two more times. The dependable Josh Delgado booted a 35-yard field goal while later, Keilon Elder caught a 38-yard TD pass from Connley. It seems Coach Samples got his wish. A big shout out goes to the Panthers’ defense. Defensive tackles Javion Adams and Terrance Newman controlled the interior line, while defensive backs Jeremy Washington and James Johnson stopped the sweep. They turned everything back towards the center of the line, where Newman and Adams could dispose of them. Now Duncanville advances to the 6A Region I Area Playoffs to face the Hebron Hawks (8-3) on Friday, November 18. The Hawks will play host at Pennington Field in Euless. Kickoff is at 7:30, come out and support the Panthers! Previous article2017 Audi R8: Women Like To Drive Fast Too!